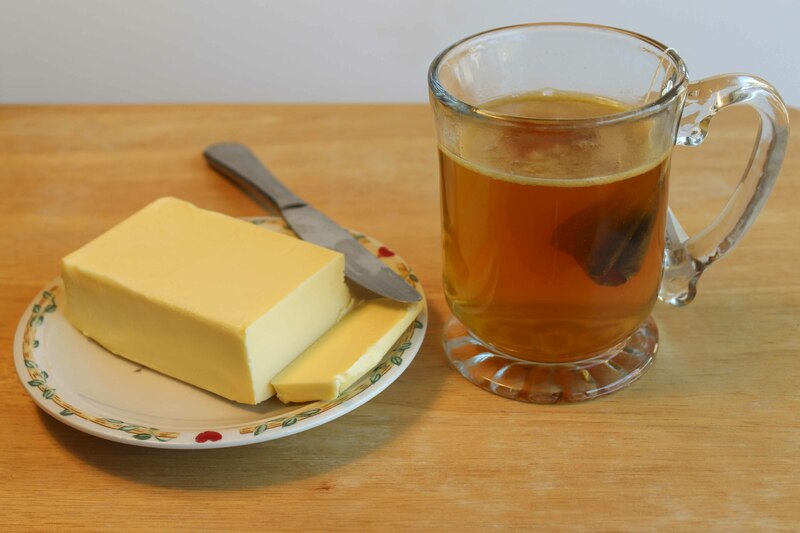 Adding grass fed butter to organic Earl Grey tea makes it more delicious and nutritious. Most people seem to think that butter can only be eaten with bread or some other grain. Many people who cannot tolerate grains do without butter. This is a shame, because real pastured butter from grassfed cattle is one of the very healthiest foods we can eat, loaded with many nutrients that are hard to find elsewhere. Our ancestors realized the worth of this sacred food, and developed many ways to eat it. This is one of the truly simple and magnificent combinations of flavor. It is best to have the butter at room temperature. Just before serving the steaks, place several thin slices of butter on the plate, and quickly cover them with the hot steak. The butter will melt, and mingle with the meat juices to make one of the easiest and most delicious sauces you will ever enjoy. Dipping each piece of meat in the butter just before eating is so delicious. Alternatively, you can place the butter on top of the steak, but that will not melt as efficiently. Or, you can place the steak on the sliced butter and put some more thinly sliced butter on top of the steak. Delicious and nutritious. 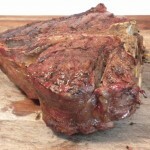 I have read literally thousands of old recipes for roasting grassfed meats. A huge number of them advise placing butter on the meat before roasting. It is utterly traditional. This technique is especially good for these fat phobic times, when butchers usually trim all of the fat off roasts. It is so simple to use. Just cover the top of the roast with butter. 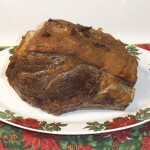 The butter will add wonderful flavor and nutrition to the roast. One of the oldest and most delicious ways to use butter is to put it over steaming hot vegetables. This will greatly increase the taste and nutrition of any hot green vegetable, even making steamed vegetables palatable. Just put some thinly sliced butter over the vegetables just before eating them. Sweet potatoes have enjoyed new popularity recently, and are full of nutrients. I like to roast sweet potatoes in their skins until they are very soft, slit them open, and stuff slices of butter into the sweet potato. I will mash the butter into the potato with a fork. When it melts, it is utterly delicious. And you get the vital nutrients of butter as well. Many people put cream in their coffee, but butter is even better. It works best with room temperature butter and hot coffee. Stir the butter into the coffee with a spoon, and drink while hot. Start with a small amount, and increase to your taste. It adds a wonderful buttery richness to the coffee. This will also work with coffee substitutes. Different but delicious. Many traditional recipes call for adding butter to soups just before serving. This is especially good with soups that are based on cream or milk, like a traditional Boston clam chowder, but can be used with most western soups. The trick is to make sure the soup is hot, and to stir the butter in with a spoon. The butter adds a wonderful richness and its own unique nutrition. Adding butter to hot tea sounds strange, but is an old tradition in Tibet. Tibetan butter tea is sipped at all hours of the day, being used to help withstand the cold, nourish the body, and prevent dehydration at Tibet’s high altitude. The Tibetans use yak milk and yak butter, which are richer and more pungent than cow’s milk and cow’s butter. Tibetan tea is complicated to make, but it is easy enough to slip some butter into the very hot tea of your choice. Forceful stirring with a spoon is advised, to mix the butter into the hot liquid, but the tea suddenly becomes a nutritional powerhouse, with a smooth rich flavor. You will have to experiment with the amounts you like, as this is different. This is one of the most European ways of enjoying butter. Many of the classic sauces are difficult and time consuming to make, but there is an easy alternative. If you are making any dish with a sauce, add some butter to the simmering sauce. The butter will add richness and great flavor to the sauce, along with some unique nutrients. Fried eggs are out of this world if you drizzle some hot melted butter over them just before serving. You can also add thinly sliced butter to hot scrambled eggs, or an omelet. The freshly melted butter will add a new dimension of taste and even more nutrients! It is often possible to buy excellent pastured butter from a local farmer. If you cannot find local pastured butter, Kerrygold has made pastured butter widely available. I only buy the unsalted version, as it has a higher butterfat content, which is more traditional. As you can see, there are so many ways to add butter to your diet. Traditional peoples who ate butter used it in many other ways as well. I never tire of the wonderful taste of pastured butter, and my body never tires of the wonderful nutrition that butter brings. This post is part of Monday Mania, Fat Tuesday, Monday Mania, Real Food Wednesday, Fight Back Friday, and Freaky Friday blog carnivals. 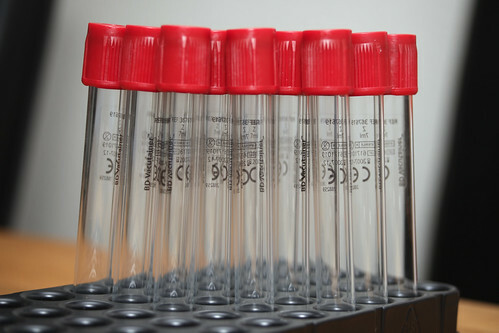 Stem cells from cows are cultivated in a vat full of chemicals, including serum from animal fetuses. They multiply up to 30 times, and grow into something resembling muscle fiber. They twitch spasmodically in the vat. They are attached to strips of Velcro to stretch them out. They will be complete when they reach a size 3 centimeters long, by 1.5 centimeters wide, half a millimeter thick. The scientists who have created these twitching fibers have predicted that they would have a “hamburger” ready for cooking this coming October. 3,000 of these “muscle” fibers will be combined with 200 similarly created “fat” fibers to create a “hamburger.” Sound more like a frankenburger to me. No information has been provided as to whether this frankenmeat will continue to twitch until bashed into submission with a meat hammer, or whether it will be “killed” in some other manner before cooking. Or perhaps it is meant to be cooked alive, and will contract in agony on the grill. What could it possibly taste like? What nutritional value could it possibly have? Why would anybody want to eat it? 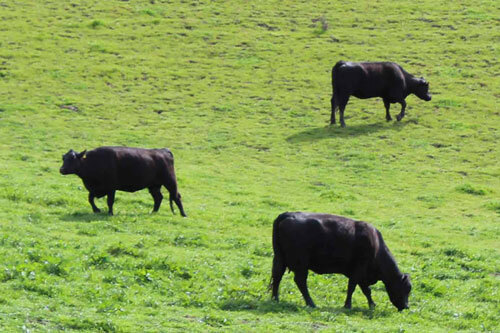 Could this possibly replace a real grassfed hamburger, from a real steer grazing on green, living grass? Perhaps the best answer to the question of what it will taste like was provided by the creators of this stuff, who plan to ask a famous chef to cook the first one. Expect him to season it heavily, and I mean HEAVILY. If this stuff fulfills its purpose and replaces meat, expect the MSG industry to expand substantially. It would have little or no nutritional value, as nothing like it has ever been produced by nature, or eaten by humans. Muscle fibers and fat from cells that have never been part of a whole living animal would not be meat, and have no natural nutrients. We have no way of knowing how our bodies would react to this stuff. I cannot imagine why anyone would want to eat it. There is no way it could ever replace a grassfed hamburger, from a real steer, raised in the sun, grazing on the living grass, full of vital nutrients straight from nature, cooked to perfection. The creators of this technique have been quoted as saying that there would be a limited herd of donor animals in the world, which could provide millions of times more “meat” using this process. It appears that the rest of the world’s meat animals would be done away with, as they would no longer be needed. There also would be a limited donor herd for pigs, lambs, and chickens. This lab grown “meat” would be all that was available. This “vision” has actually attracted the support of vegan organizations that want artificial meat developed. The project is being financed by an anonymous donor, who was described as a household name, who turns everything he touches into gold. This sounds like vegan heaven, but it would soon turn into hell for everyone, as fertile soil turned into deserts without grazing animals to renew the land. A mass slaughter of the world’s farm animals would take place, and the lost breeds could never be replaced. Countless species that depend on good soil would quickly become extinct. Grazing animals are a vital part of nature’s balance, and life as we know it will not survive without them. In a matter of years, the only food available would be created in a lab, or taken from the sea. Mass starvation would be the most likely result. There is an incredible arrogance among many scientists, who seem to think that they can create foods that are just as good as those provided by nature. That is just not true. No artificial food is even remotely comparable to real food. People who eat a lot of artificial food often get sick, obese, and depressed. Scientists understand part of the picture, but their knowledge is always incomplete. New nutrients in nature are constantly being discovered, and the very fact that these new nutrients are discovered proves the incompleteness of the information relied on by scientists. The way most nutrients interact with each other is not known to science. Since they only have incomplete data, and do not understand the whole picture, how could they possibly design a nourishing artificial food? Our bodies were meant to eat the foods provided by nature, and humanity has eaten those foods for hundreds of thousands of years. Nature contains every nutrient our bodies need. The meat and fat of grassfed animals is the oldest human food, and our bodies thrive on it. Cooked properly, it is delicious and satisfying. It rebuilt my health, and has done the same for many others. Completely true. When we follow the laws of nature by eating the traditional foods of our ancestors, we are strong, healthy, happy and long lived. We must return to the foods nature has provided for us, not eat lab-created abominations. If I have a choice, I will never even taste the frankenmeat. I will just eat grassfed. 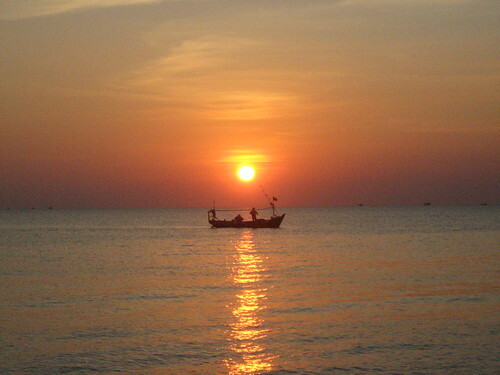 photo credit: noramorgan Sunset over Phu Quoc Island, famous for the quality of its fish sauce. Every healthy people studied by Dr. Weston A. Price had sacred foods—foods that were so nutritious and renewing that the people held them sacred. These foods were packed full of all kinds of nutrients. They were used to increase fertility, help recovery from illness and wounds, and to promote general good health. One of the most common sacred foods throughout history has many names. The Ancient Greeks called it garos, and ate it with every meal. The Ancient Romans called it garum, and used it to season almost all soups, meat and fish dishes, and as a table condiment that was always available. The Chinese called it ke-tsiap, and used it extensively. The Malays called it ke-chap, and also used it for cooking and in condiments. The Vietnamese called it nuoc mam, and used it extensively in cooking, and served it as a condiment, often mixed with other ingredients. 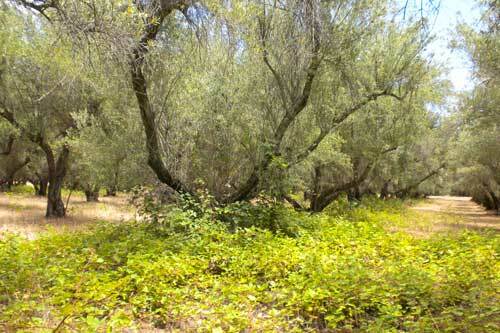 In fact, this sacred food was used throughout the traditional world, and was still in use in relatively modern times. We know it as fish sauce. In its traditional form, fish sauce was made from tiny fish, usually anchovies, and sea salt, fermented over a very long period of time, then pressed, which caused all the nutrients from the tiny whole fish to dissolve into a tasty brown liquid, full of valuable nutrients from the sea. However, as with so many other foods, the modern food industry ruined it for profit. They used inferior fish, often from polluted waters, diluted it with water, used quick chemical fermentation, used factory salt, added MSG and other taste enhancers, and various sweeteners. The result was a concoction that often had very little nutritional benefit, and was full of nasty additives. A few brands were much better than the others, but the traditional sacred condiment of our ancestors was just not available. Until now. Until Red Boat Fish Sauce was created and made available. Nearly all of the healthy peoples studied by Dr. Weston A. Price greatly valued foods from the sea and sea nutrients, and would go to great efforts to get them. Many of the foods from the sea they obtained were fermented, in one form or another. These people stayed free of modern diseases like cancer, diabetes, heart disease, birth defects, tooth decay, and others by eating the traditional foods of their ancestors. Fermented food from the sea was often a valued part of their diet. In its traditional form, fish sauce is made from the entire bodies of tiny fish, and sea salt. Nothing else is added. The fermentation process turns the tiny fish into a brown liquid. Since the entire fish is used, all the organs, bones, meat, and skin of the fish are used to make the liquid, which is literally pressed from the fermented fish. This means that you get all the nutrients of the fish, which are rich in minerals, vitamins, all kinds of natural substances that our bodies need and crave. I cannot think of a better source of natural iodine, among many other valuable nutrients. Much of the soil our food is raised on is mineral-depleted, but the ocean is still full of minerals and nutrients, which are contained in these tiny fish. The process concentrates the nutrients of the fish into the liquid, making it a natural mineral concentrate. And the precious liquid contains all the substances from all the organs and glands of the fish. Our ancestors traditionally would eat the whole fish, knowing how valuable these nutrients are. Even small amounts of this liquid are very nutritious, because the nutrients are concentrated in the liquid. The Ancient Greeks and Ancient Romans, two of the healthiest and most powerful of ancient peoples, ate fish sauce in some form every day, often at every meal. It was used both as an ingredient and a condiment. Huge amounts of fish sauce were shipped all over the Roman Empire, and there were many different brands. In fact, the discovery of an ancient Roman ship loaded with jars of fish sauce revealed that some brands were even labeled Kosher! I decided to add fish sauce to my diet after reading Sally Fallon Morell’s classic cookbook, Nourishing Traditions. I wanted the concentrated sea nutrients it contained. There are many fish sauces on the market. I have tried many of them. Many tasted so bad that I would never use them again. Others were full of additives that I do not want in my body. Others were so diluted with water that they had little or no flavor. I finally found a brand, recommended by the Weston A. Price Foundation that tasted and felt good. Yet even this brand had some sugar added to it. Then I tasted Red Boat Fish Sauce a couple of months ago. Now Red Boat is the only fish sauce I ever want to use. Red Boat Fish Sauce is made from only two ingredients, black anchovy, and sea salt. The anchovies are caught from the clean, unpolluted waters of the Phu Quoc Archipelago. Phu Quoc Island has long been famous in Vietnam for producing the finest fish sauce. The anchovies are salted quickly after being caught, while very fresh. They are placed in barrels made of tropical wood, and allowed to ferment for over one year. Yes, over a year. Then the fermented fish are pressed, and the liquid from the first pressing only is bottled as Red Boat Fish Sauce. This is as basic, pure, and traditional as you can get. This technology could have been used thousands of years ago. The process is artisanal, not industrial. This process preserves and enhances the many nutrients from the whole fish, turning them into a form that is easy to digest and assimilate. Like all such traditional processes, it sounds simple, but every step must be done perfectly, by skilled artisans. The fact that no additives, chemicals, flavor enhancers, preservatives, sweeteners, etc. are added means that your body is presented with pure, vital nutrients from the sea, and nothing that will interfere with their digestion and absorption. Yet the other great difference in Red Boat Fish Sauce is the taste. It is somewhat salty, yet not too salty. It has a rich, slightly sweet, yet very complex and deep flavor. It does wonderful things to the flavor of food. I have many recipes calling for fish sauce in my two cookbooks, Tender Grassfed Meat and Tender Grassfed Barbecue. I recently made a number of these recipes for my family, using Red Boat instead of the other fish sauce. Each time, my family commented on how good the dish tasted, even better than usual. I could taste the difference for myself, easily. The flavor was deeper, tastier, richer, and utterly delicious. And the usual feeling of well being and satisfaction I get from my cooking was even more profound. I now withdraw my recommendation of the fish sauce mentioned in my books, and recommend that it be replaced with Red Boat Fish Sauce, in every recipe. My two cookbooks are soy-free, yet contain various East Asian inspired recipes. I use fish sauce instead of soy sauce in these recipes. The taste is not the same as using soy sauce, but it is wonderful. It is even better with Red Boat. I will add fish sauce as an ingredient to soups. My version of Hot and Sour Soup, which will be published in a future book, became the best ever, after I used Red Boat Fish Sauce in it. Even a tablespoon or so will add a lot of flavor and nutrition, although I usually use more than that. I drink homemade bone broth every day, as a vital part of my nutritional program. I now will often add a teaspoon or more of Red Boat Fish Sauce to my cup of broth. Not only does this really improve the already wonderful flavor, but it contributes valuable nutrients that make the broth even healthier. I am developing a number of new recipes that use Red Boat Fish Sauce as an ingredient. Many of these recipes have Roman or Ancient Greek roots, and Red Boat makes them so much better. Why Did I Write this Post? Because this Product Is a Treasure! I know this post seem like a commercial for Red Boat Fish Sauce. But I receive no compensation for writing this, or recommending the product. This is one of the very few times in my life that I have found a truly natural and traditional food product which is so outstanding, in every way—that I have to spread the word about it. I do have an ulterior motive, though. I want Red Boat Fish Sauce to thrive as a company and enjoy great financial success, because I want them to stay in business and keep making this amazing product, so I can continue to enjoy the nutritional and taste benefits it brings. I also want to express my deep personal gratitude to Cuong Pham, the founder and owner of Red Boat Fish Sauce, who has restored a wonderful traditional food to the world, and made it available to us.